Truly a 19th-century pie! We could hardly wait for our meal to get over so we could eat this. Yum!! Adjust oven rack to lowest position and heat oven to 450 degrees. Heat sugar, syrup, cream, and molasses in saucepan over medium heat, stirring occasionally, until sugar dissolves, about 3 minutes. Remove from heat and let cool 5 minutes. Whisk butter and salt into syrup mixture until combined. Whisk in egg yolks until incorporated. 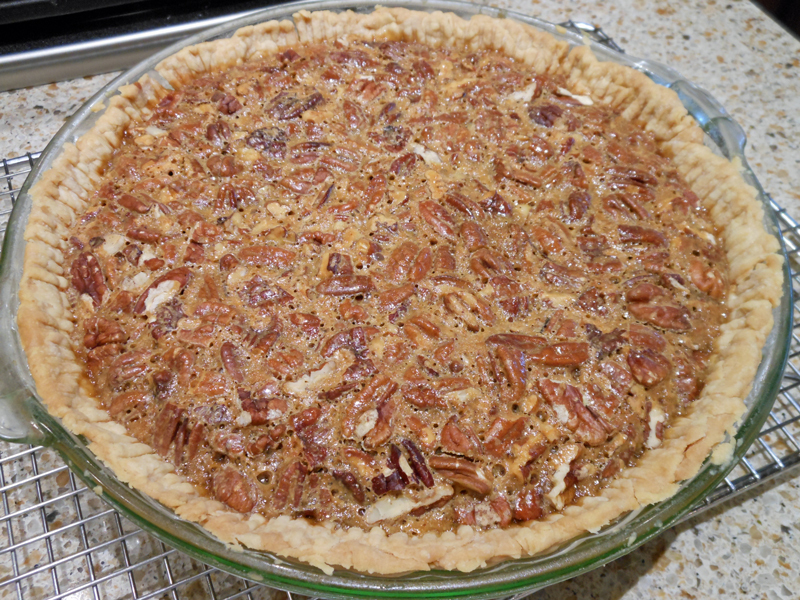 Scatter pecans in pie shell. Carefully pour filling over. Place pie in hot oven and immediately reduce oven temperature to 325 degrees. Bake until filling is set and center jiggles slightly when pie is gently shaken, 45 to 60 minutes. Cool pie on rack for 1 hour, then refrigerate until set, about 3 hours and up to 1 day. Bring to room temperature before serving.